An overview of the origin, evolution, and ultimate fate of the Universe. Galaxies and dark matter. The Big Bang and dark energy. Ancient world models. Taught by Prof. James Bullock. Bullock, James. 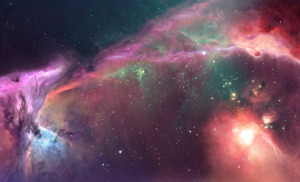 Physics 20B (UCI Open: University of California, Irvine), http://open.uci.edu/courses/physics_20b_cosmology.html. [April 11, 2017]. License: Creative Commons Attribution-ShareAlike 3.0 United States License.